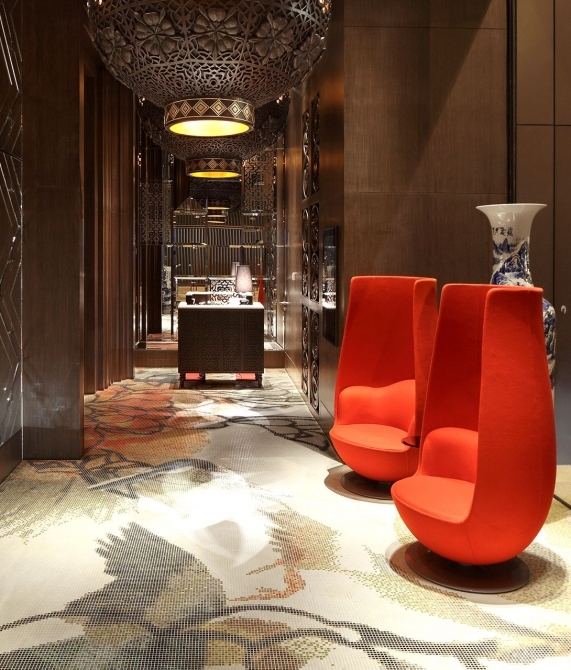 AB Concept, Dennis Lau, Ng Chun Man Architects & Engineers Ltd.
—Enter the ancient, dreamlike world of a Chinese fairytale in the most vibrant hotel in Hong Kong’s pulsating Causeway Bay district. 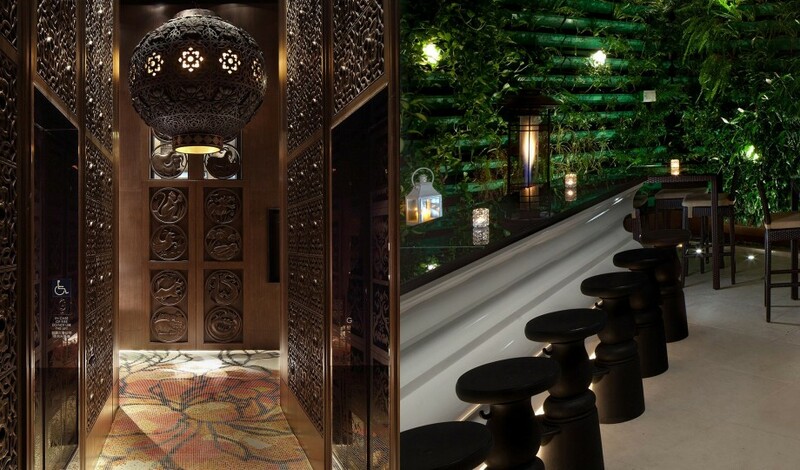 Mira Moon, Hong Kong’s most awarded boutique hotel, is the new hideout that takes guests on a whimsical journey into Hong Kong’s legendary past amidst the bustling Causeway Bay. 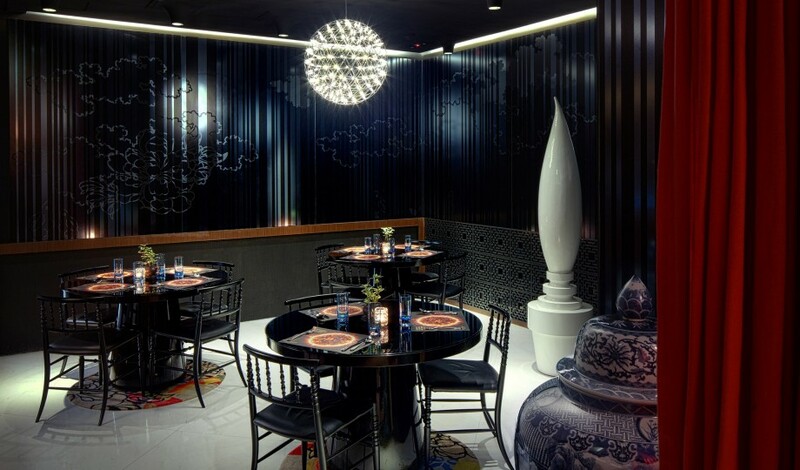 The story of the Moon Festival is reinterpreted artistically in the hotel’s chic, modern décor – a contemporary version of a traditional mythology told in furnishings that combine stylish details with ancient Chinese elements. 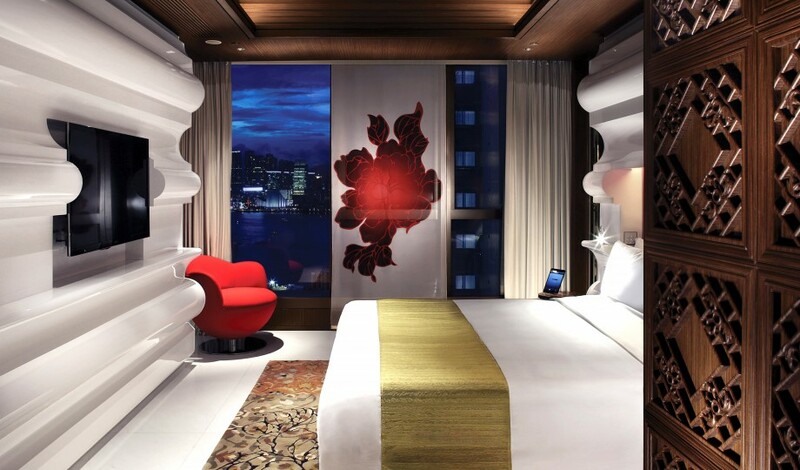 Like The Mira Hong Kong, its sister hotel in Kowloon, Mira Moon melds traditional Asian hospitality with tech-savvy gadgets, such as portable Wi-Fi On-The-Go device. 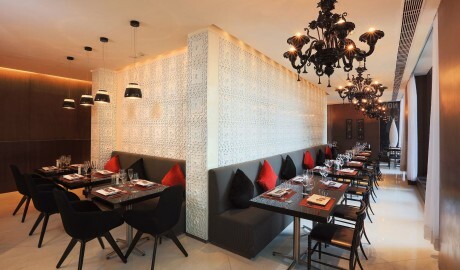 From the entranceway to the award-winning restaurant Supergiant serving authentic Spanish cuisine and the tranquil Secret Garden, the mood is positive yet informal. With stunning views including Victoria Harbour, The Champagne Bar is the go-to place for the fashion-conscious globetrotters and business types who are drawn here from around the world. 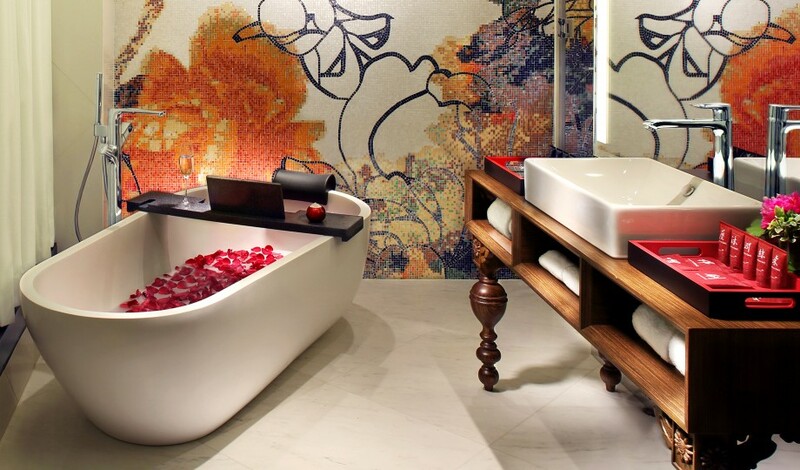 A stay at Mira Moon is an escape into a stylish, sensually thrilling world where an attentive staff caters to your needs. The Mira Moon wows its guests with 90 stylish rooms, one penthouse suite, and an unusual design aesthetic. 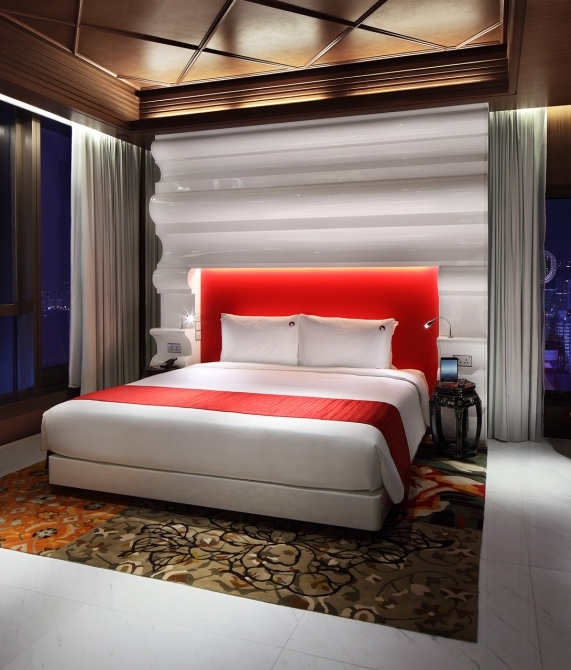 The bedrooms take full advantage of the Hong Kong skyline, with floor-to-ceiling windows running parallel to the plump white beds. 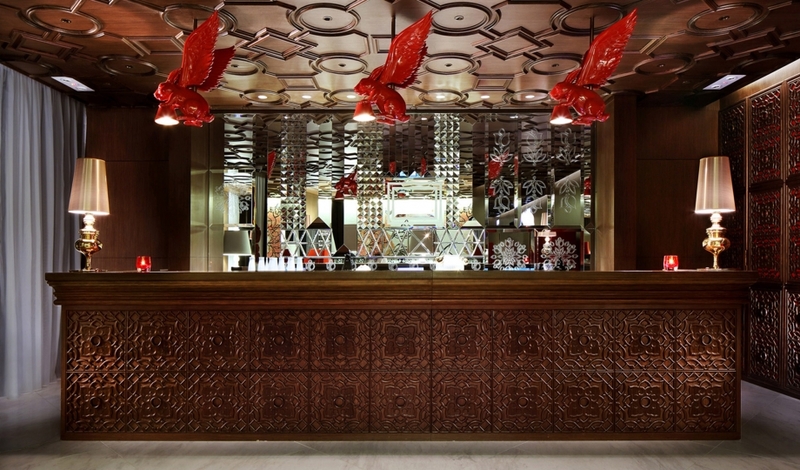 Spotlights embedded in the latticed wooden ceilings provide additional luminosity, as do the wavy white shelves. Combine these with high-end technology (each bedroom has a personal eConcierge service, an iPad mini, a portable Wi-Fi On The Go device providing 4G high-speed connectivity and unlimited data, and air play music system) and there’s no doubting that Mira Moon’s rooms have set a new standard for inner-city comfort. 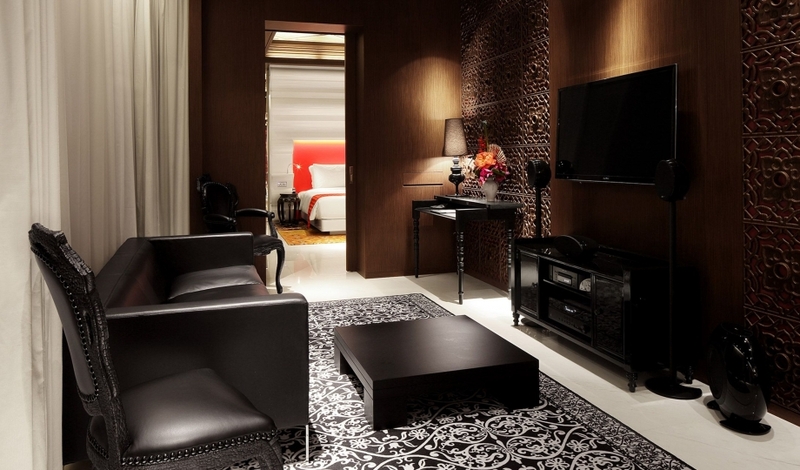 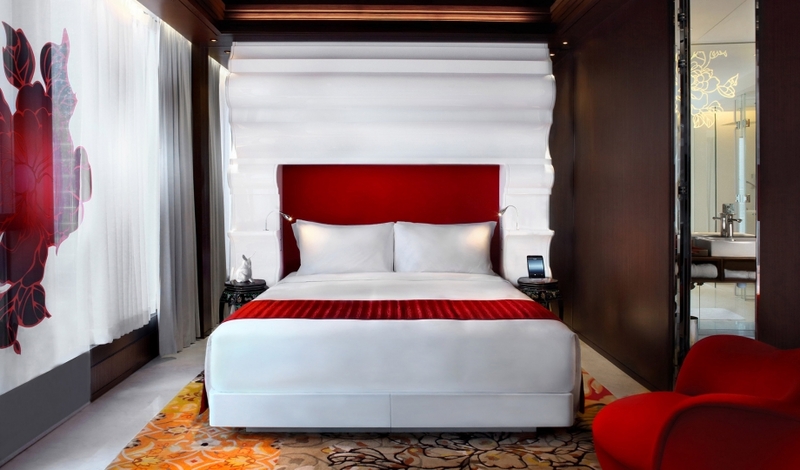 Conjuring images of Chinese fairytales, the interiors are characterized by intricate, Oriental patterning and a rich and contrasting color scheme, while high-tech hospitality gadgets lend an ultra-modern edge. 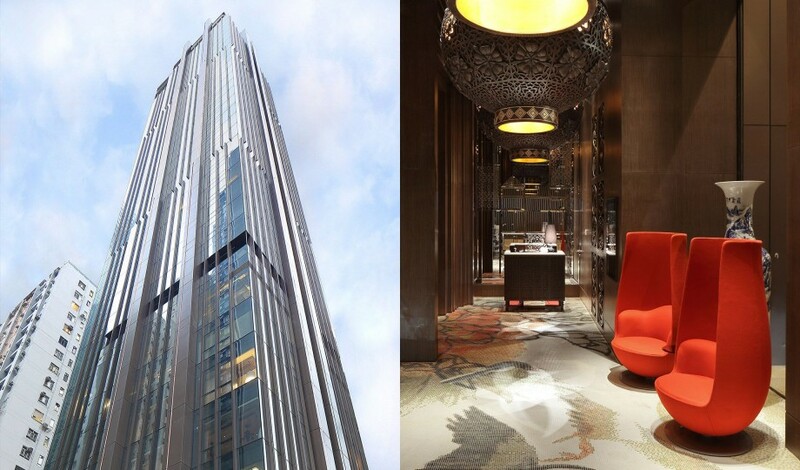 High above the Hong Kong hubbub in a contemporary skyscraper sits Mira Moon, with interior architectural features including surprisingly stately timber panel walls. Martin Lee is all about creating a cultural context for the so-called new wave of China that is influencing the world. 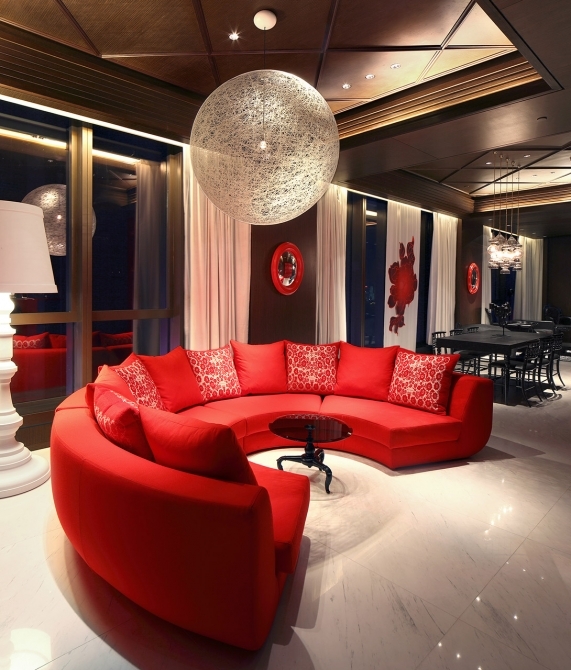 He is the vice-chairman of Henderson Land and the chairman & CEO of Miramar Hotel and Investment Company, as well as a director of The Hong Kong and China Gas Company. In 2009, he turned the timeworn Hotel Miramar into The Mira Hong Kong, a lustrous urban sanctuary. 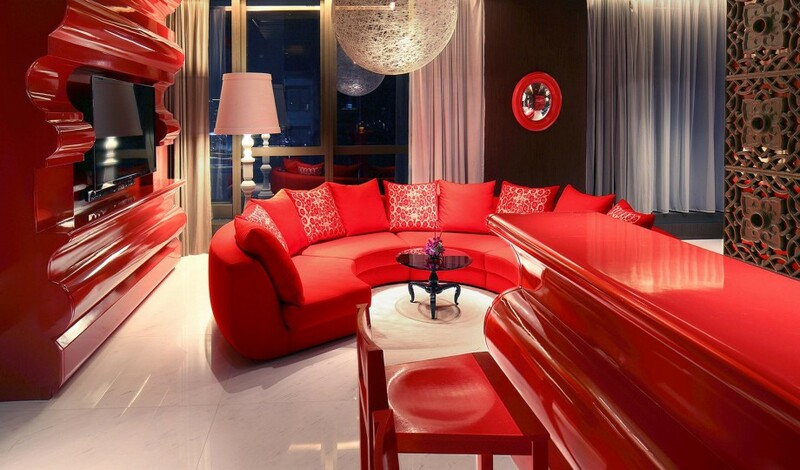 Lee brought in celebrity lifestyle guru Colin Cowie and spent $65 million renovating the 16-floor property. 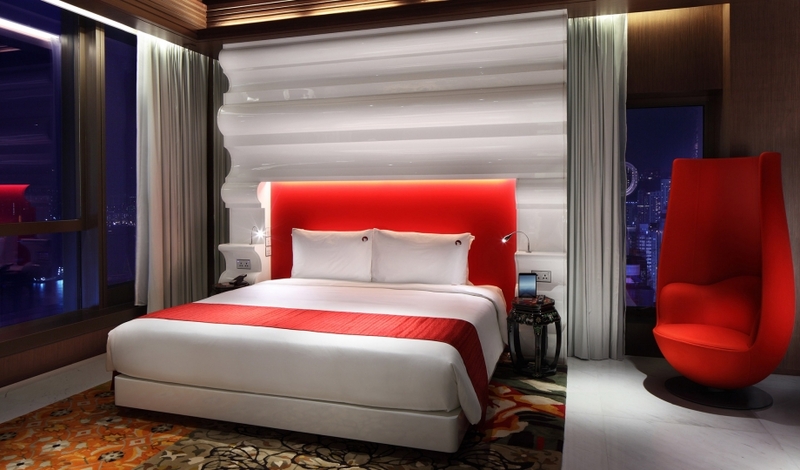 His latest endeavor is the Mira Moon, the most vibrant hotel in Hong Kong’s pulsing Causeway Bay, which draws inspiration from the vivacity of China’s Moon Festival fairytale. With his sleek and chic hotels, the iconoclastic Martin Lee is infusing the Asian financial capital with his finely honed sense of style and sophistication. 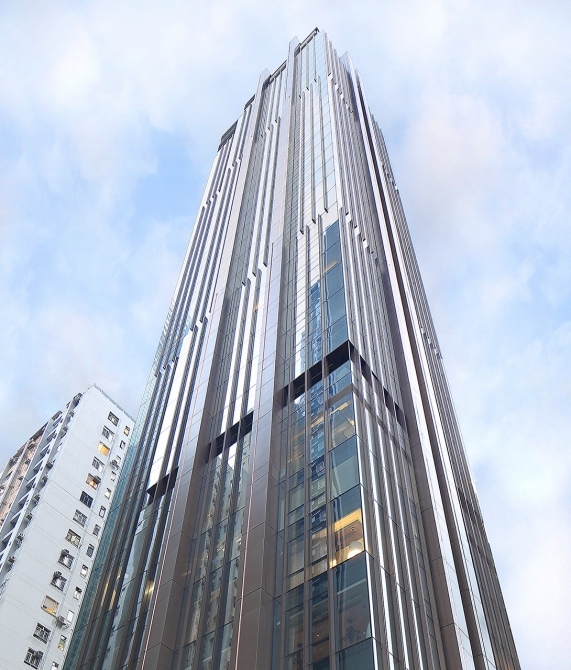 The Wan Chai neighborhood sits on the north of Hong Kong Island and hosts a skyline of high-rises and commercial towers that hulk over its bustling streets and red light district.